Since 1991, Alpine has been providing expert lead paint abatement, mold remediation, and period restoration services to the New England area. 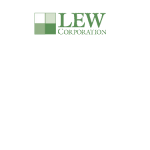 LEW Corporation is one of the most experienced property oriented environmental entities in the country. View our profile to learn more. Please note that by clicking on any of the states in this map, you will be redirected to the EPA’s website for this state.